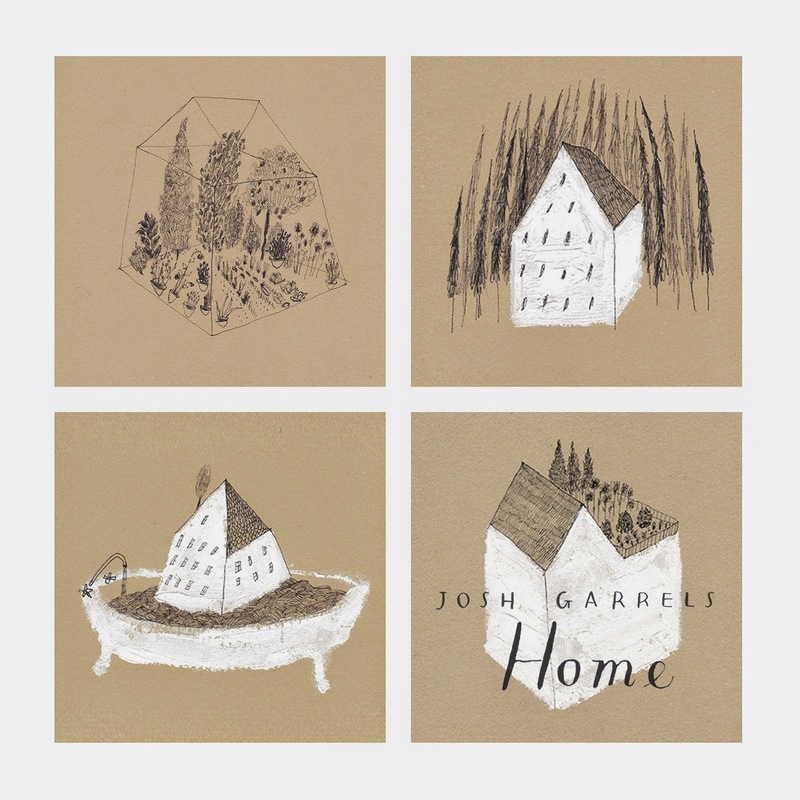 In celebration of the one year anniversary of his album Home, Josh Garrels has partnered with World Relief & One Million Thumbprints to release the Home (Anniversary Edition) exclusively on Noisetrade for one week only. This new deluxe edition features the original full-length album, plus instrumental versions of all songs, as well as two previously unreleased tracks, “Hiding Place” and “Peacemaker.” All tips received from the album downloads will be given to the One Million Thumbprints campaign and their partnership with the humanitarian work of World Relief. These funds will support grassroots-level peace building to end violence against women and restore survivors in war torn areas such as the Democratic Republic of Congo, South Sudan, Iraq, and Syria. Josh Garrels isn’t an artist I’ve ever loved. I enjoyed a bunch of aspects about Love & War & The Sea Between, but the album just didn’t have staying power with me. In fact, my favorite thing Garrels has ever done is his hook on Beautiful Eulogy’s Anchor. But none of that stopped me from picking up Garrels’ new album on release day and spinning it immediately. And spinning it again. And again. And according to iTunes, I’ve listened to Home 18 times. Let me state this now: Go download Home right now! If you’re old enough to remember a time when listening to music was an activity, like you’d just go and listen to a record and do nothing else, this is the type of record you want to just listen to. To sit and explore and dive deep into and enjoy. Home is a record is soak your soul in to. Soulful, bluesy, expressive. The strings that give way to a soul filled Born Again open up the album on an absolutely beautiful note. It could be Marvin Gaye, Ottis Redding, or Al Green singing over the track. Garrels has a flare for musical proficiency or quirks, which is probably why he find a hard punctuating a melody between the chorus and verse 2. The hook is infectious, but underrated in the way those great soul singers could deliver a love song. The way the music sways and interplays, between guitar sweeps, giant string sections and a harp, it’s an orchestrated piece of genius. Colors keeps the soulful vibe, while throwing in more of an Isley Brothers “rock” vibe. A Long Ways feels almost as if a ghost is haunting you. Like an emotional, painful past ghost. But only on the verses. The choruses feel like Garrels is breaking through the hurt. Which carries into the second verse, which builds to a triumphant closing. Leviathan is groove heavy and verse driven. Garrels falsetto carrying each and every tune. With each track, the styling and sound of the record has slowly been shifting and moving forward, punctuated by the bluesy rock and roll sound of The Arrow. Heavens Light brings things down and showcases Garrels as the singer/songwriter he is. Simple and beautiful.The country, folksy influence find their way into Morning Light. It’s a vast departure from the almost Motown esque sounds of Born Again, but the way the album moves and flows, it’s not a shock to the ears and doesn’t feel out of place. It’s just an artist showcasing their craft. Always Be is light and fun. The vocals and lyrics ebb and flow effortlessly in the background. Home At Last is another simple singer/songwriter song, but the instrumentation that is present creates a beautiful texture that keeps Garrels from ever being boring. Benediction is the most stripped down track on the record and is a beautiful closer. Home is a masterpiece. I don’t feel like that’s an overstatement. It’s a record worth your time. Even if it doesn’t sound like your style of music, the record is good enough to warrant a listen. You won’t be disappointed. 5 out of 5 Stars!